Chocolate Bar Card With Golden Ticket, which can be personalised! Quirky and unique personalised Card, perfect for Anniversaries, Valentines, Birthday Parties or any special events. 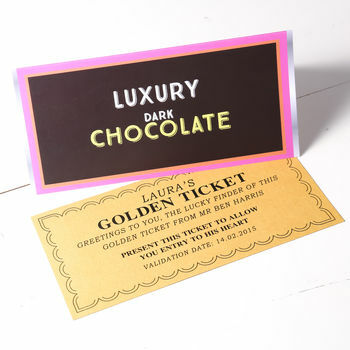 For that special person in your life, surpise them with their very own Golden Ticket! 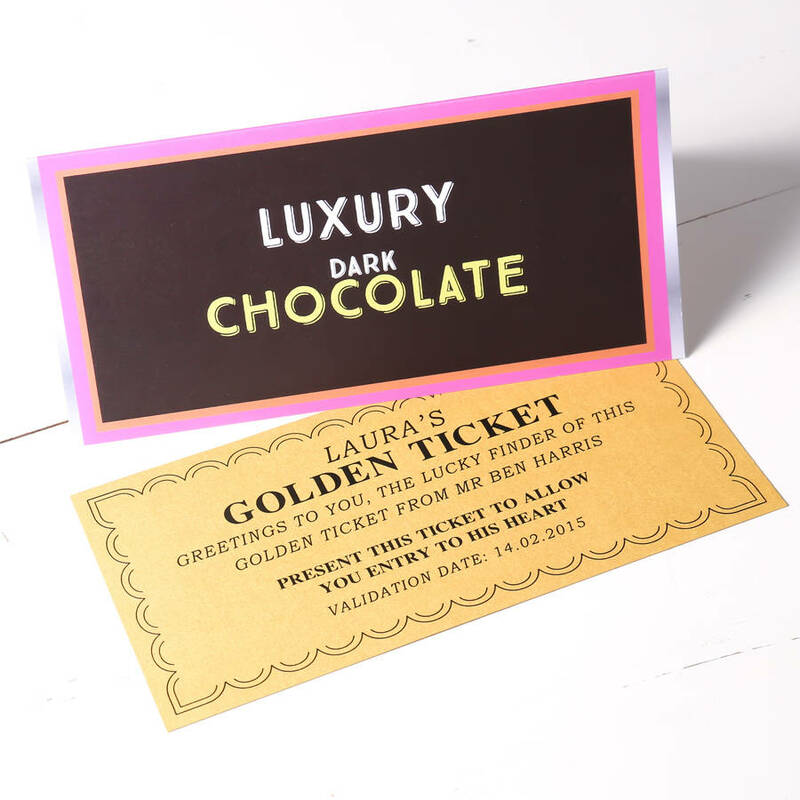 Inspired by one of our favourite books Roald Dahl's Charlie and the chocolate factory, this Chocolate bar card with a personalised ticket is a fantastic way to surprise your loved ones with event details, holiday surprises or just entry to your heart! Fill in the personalisation boxes with the recipients name, your name, Event details and a validation date. Designed, printed and packed in Claire's studio in the UK. PLEASE NOTE : THIS IS NOT A CHOCOLATE BAR! Printed on high quality 300gsm card and the ticket is printed on gold metallic card. Supplied with a white envelope and packed in clear cellophane.